Sharjah Art Foundation (SAF) invites you to mark the annual International Day of People with Disabilities on Saturday, 15 December 2018 through an inclusive programme of talks, workshops, performances and a film screening at the foundation’s spaces in Al Mureijah Square, Sharjah. This year’s theme, Empowerment, Inclusion, Equality, focuses on increasing public awareness, developing understanding and acceptance of people with disabilities and empowering those with disabilities through inclusion and equality. Participants will create imprints using autumn leaves and clay. Participants will be photographed, have their photos printed and then create collages with their portraits by combining photographs and their own drawings. Participants will each create a mini-vehicle from bottles and different recycled materials. Participants will learn how to transfer images using decoupage art. Deriving inspiration from nature, participants will press dried flowers between two panes of glass to create a unique wall hanging that gives the impression of floating flowers. Pointillism is a painting and drawing technique in which small dots of colour are arranged in patterns to form images. Participants in this workshop will learn the basics of the pointillism technique and use cotton buds (Q-tips) to draw. Dr Nadera Alborno, a faculty member at the American University of Dubai, will discuss the rights of people with disabilities. Dr Alborno works with local communities to spread awareness regarding the rights of people with disabilities and has published a number of case studies addressing the challenges faced in the UAE context. Chaica Alqassimi, an Emirati athlete with Down syndrome, will be talking about her achievements and her experience. Chaica has a black belt in karate and is currently preparing to participate in the Special Olympics World Games. Sharjah Mime is the first group in Sharjah specialising in pantomime stage shows. The group includes hearing-impaired actors from across the UAE. Alia is a 15-year-old pianist with a hearing impairment. Based on The New York Times bestseller, Wonder is an Oscar-nominated film that tells the inspiring and heartwarming story of August Pullman, a boy with a congenital disorder resulting in facial differences who attends a mainstream elementary school for the first time. 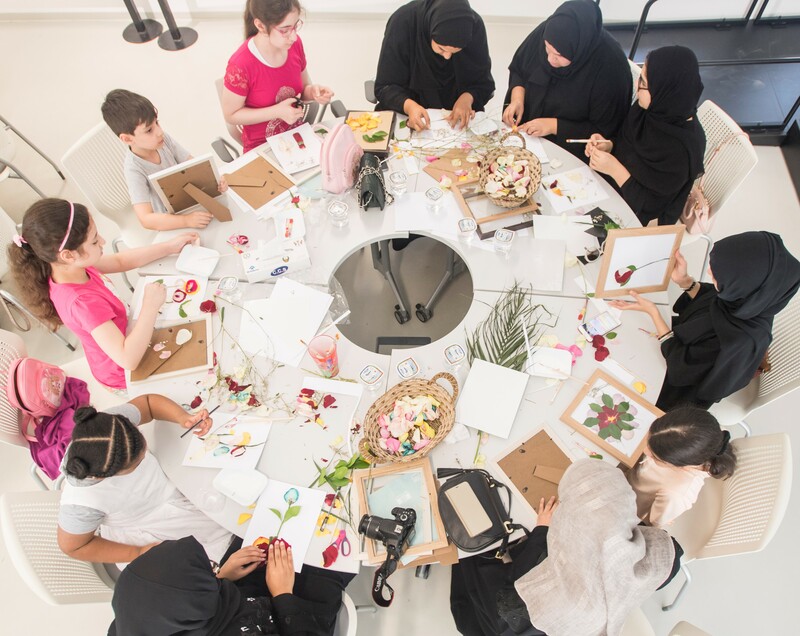 The celebration of the International Day of People with Disabilities continues Sharjah Art Foundation’s commitment to inclusion, equality and mobility through its Education Programme for People with Disabilties. The programme offers a wide range of free educational workshops, activities, events and excursions for both children and adults with physical, learning and developmental disabilities to help them discover new ways of self-expression through art. The programme also organises training workshops, talks, discussions and events for artists, caregivers and others who work with people with disabilities. All activities are inclusive and encourage public engagement, emphasise creativity and enrich the cultural experience of the participants. To learn more, visit sharjahart.org.